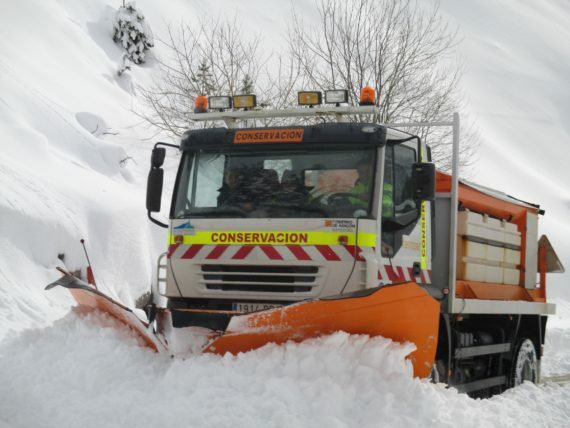 The constitution of the Consortium, in June 2008, was the result of the common interest of the Government of Aragon and the Hautes-Pyrénées Department to foster cooperation and common action in the management of the Bielsa-Aragnouet Pyrenean road. Progress with improvements to the management, preservation and operation of the trans-Pyrenean road through the Bielsa-Aragnouet tunnel and its access roads with special emphasis on tackling and resolving problems associated with winter highway administration to enable the tunnel to be kept open to traffic in safe conditions 24 hours a day, 365 days a year. Foster local and regional development and participate in European development by means of the revaluation of existing infrastructure to enable the flow of traffic between the two countries and social and economic development in sustainable conditions. Carry out a series of activities to improve the safety of the tunnel. In order to obtain the finances to carry out these activities, the Consortium presented an Interreg IV A project to the European Union. The aim of this Project was to share the management of cross-border equipment to reduce the border effect. A total of 25 measures were proposed and achieved to this end.